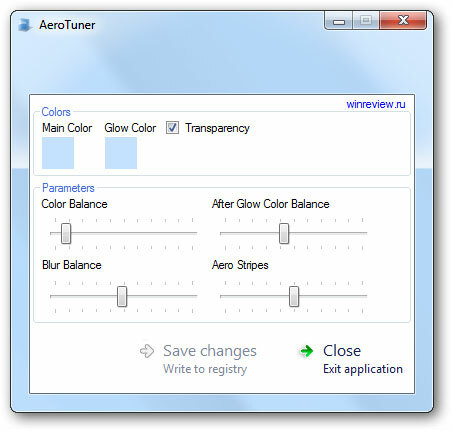 AeroTuner is a free portable tool for Windows 7 that allows you to customize the aero blur colors, color balances, blur balance and aero strips. Just run the tool, customize the settings as you like and click Save changes. Unfortunately it has no option to restore the default settings so you will have to change your theme to restore them.